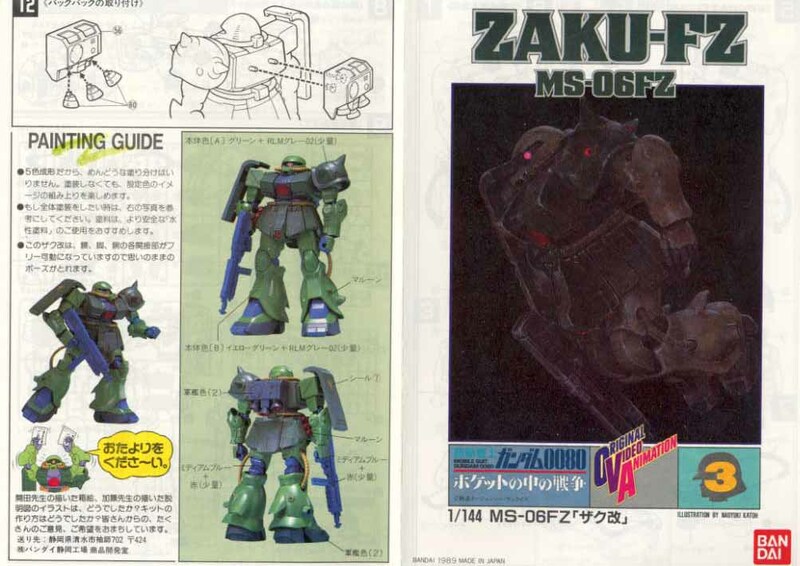 This is the Zaku-FZ final version of the Zaku series appeared in the OVA War in Pocket. Fully poseable. Include two heads that can be interchanged. Come with standard weapons for Zaku.